Just the thing for those primitive style art or craft projects, this rusted-style wire appears to have been sitting outside in all kinds of weather for decades. Alas, it was aged chemically, so you won't risk losing your momentum over several years as you wait. 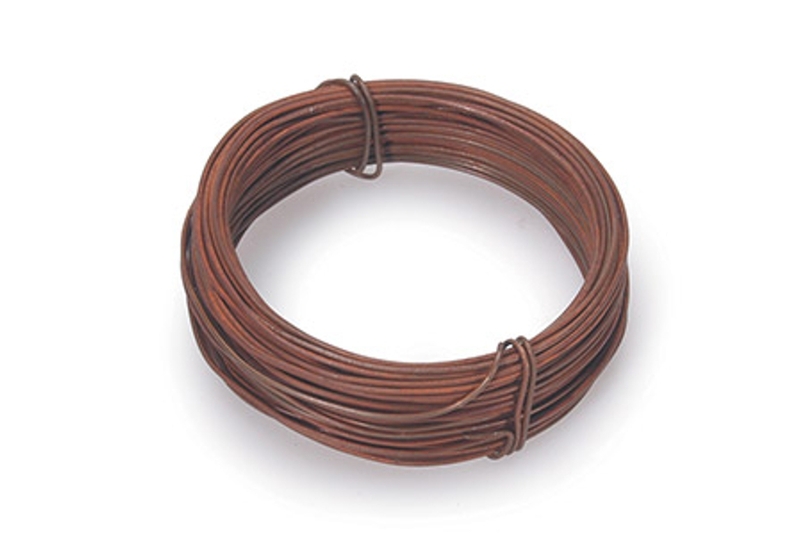 With 30 feet of this Number 22 gauge wire, you'll be able to find quite a few uses for this. And, if you can't, this rusty wire actually looks pretty nice just as is when you receive it.